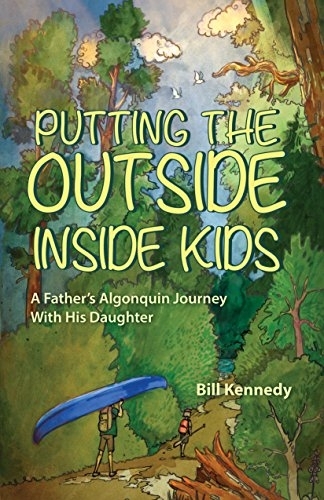 When his daughter Suzanne was five years old, Bill Kennedy set out with her on a canoe trip into the wilderness of Ontario’s 7,600-square-kilometre Algonquin Provincial Park. Paddling and portaging through the park’s interior, they would share the grand adventure of the lessons nature had prepared for them amid its lakes and forests, including a hair-raising wildlife encounter. Fun in the great outdoors, Kennedy maintains, is a school of learning every child should have the opportunity to experience. It speaks a language that children universally and happily respond to. It’s a school that will encourage them to work together toward the goal of a healthier environment and thereby a better world for themselves and the generations to follow. This book is especially for the parents and grandparents of children and teenagers, but it will interest anyone who believes in the empowering gift nature offers us, if only we take the time to see it.